William, The What-If Wonder On His First Day of School is the first book by Carol Wulff, an indie author from Ohio. 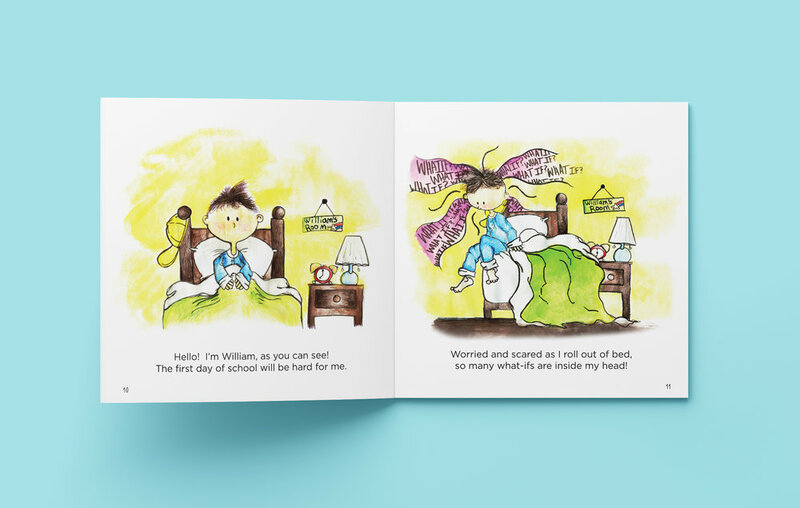 The children's book follows William, a child with anxious 'what-if' thoughts, through his journey on his first day of school and how he manages the 'what-if' thoughts. The book shows the anxious thoughts on the left hand page and the actual outcomes on the right hand page. Carol reached out to me in July 2017 and asked me if I would help her lay out her book, design promotional materials, and design a logo for the publishing company (It's A Wonder Publishing, LLC.) she created. The next few months were spent designing and reviewing the layouts, creating the promotional materials, creating the publishing logo. The book was published on April 6th, 2018. Two versions of the final logo for It's A wonder Publishing, LCC.